"The appellate court decided that the use of the word Allah in the Bahasa Malaysia section in the Herald to refer to God was not an essential or integral part of Christianity. Therefore, it does not enjoy the constitutional guarantee under Article 11 of the Federal Constitution,"
The Herald Weekly today failed to get leave from the Federal Court to challenge the Home Ministry’s ban on its use of the word “Allah” in its Bahasa Malaysia edition. Expecting the usual suspects to do their best to hasut the people, but please let us be sensible about this matter, the Herald brought this issue to Court when they filed a Suit against the Government (Kementerian Dalam Negeri). The nation's final Court have decided that they cannot appeal the Court of Appeal's decision and now the Paderis should now show some Christian righteousness and graciousness to accept the the Court's final decision. The Paderis should stop being stubborn about the Herald Allah decision before even moderate Muslims started to think they have a hidden agenda beyond the magazine itself. The public should respect and abide by the decision of the appellate court on the issue of the word Allah and refrain from making any statements which could lead to contempt of court, Attorney General Tan Sri Abdul Gani Patail (pic) said in a statement today. Netizens have been vocal in voicing their sentiments and thoughts on social media about the decision by the Court of Appeal to allow the Home Ministry to ban the use of the word Allah in the Catholic weekly Herald. 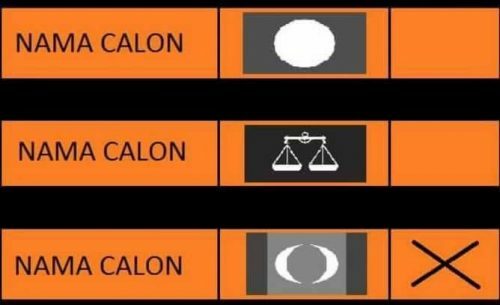 However, even former attorney general Tan Sri Abu Talib Othman cautioned Malaysians against making statements as the appellate court's decision was binding. Whether Malaysians agreed or disagreed with the decision, it had a binding precedent. In his statement, Abdul Gani said the Home Minister had not acted in excess of his authority or functions under the Printing Presses and Publications Act 1984 when he issued the ban against the Herald. Court of Appeal judge Mohamed Apandi Ali had clearly stated this in his written judgment. The Court of Appeal held that the Home Minister had the discretion to decide whether the word Allah in the Herald had the potential to disrupt public order and internal security. Hence, Mohamed Apandi came to the decision that the use of the word Allah in the Bahasa Malaysia section in the Herald could have disrupted the harmony of Malaysian society. "The appellate court decided that the use of the word Allah in the Bahasa Malaysia section in the Herald to refer to God was not an essential or integral part of Christianity. Therefore, it does not enjoy the constitutional guarantee under Article 11 of the Federal Constitution," Abdul Gani said. The constitutional protection afforded to the practice of one's religion is confined to the religious practice which forms an essential and integral part of the religion, Abdul Gani said. But the appellate court decided the word Allah did not fall into this category. 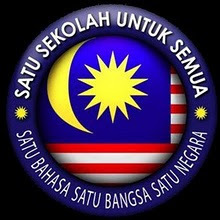 Another point Abdul Gani highlighted was the permission given by the Home Minister for the use of the word Allah in the Al-Kitab or Malay Bible could not be treated in the same manner as Herald. This was because the Bahasa Malaysia translation of the Christian holy book was used in churches and meant for Christians. "However, the Herald is a newspaper which is also accessible online and can be read by Muslims and non-Muslims. Hence, the reason why both publications cannot be treated in the same manner," Abdul Gani said. "The conclusion of the appellate court's decision is that on issues concerning national security and public order, the Home Minister has the discretion to ban any word which can be prejudicial to national security," Abdul Gani said, adding that the court would not interfere provided the discretion was used legally, reasonably, rationally and proportionally. - October 20, 2013.